Since 1987 Okapro Automotive (formerly Okanagan Propane & Automotive) started as an Alternative Fuel Conversions and Maintenance Facility. Starting with OHG propane systems, Okapro Automotive has grown and expanded its knowledge and understanding of alternative fuels which brings us the today’s sophisticated Multipoint Fuel Injection and Direct Injection Fuel Systems for not just Propane but Natural Gas as well! 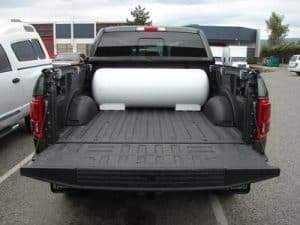 Okapro Automotive is the most experienced facility in the valley with automotive propane systems and the only licensed Automotive Natural Gas Install and Repair Facility in the Okanagan Valley. 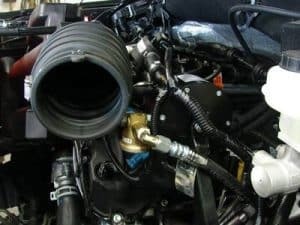 Okapro Automotive Inc. is a registered Kelowna auto repair facility for Landi Renzo, PRINS, Impco and DieselFlex CNG or LPG Fuel Injection Systems. Conversions today can be expensive. That is the simple truth. If you are the kind of person who changes your vehicle every couple years, do a trade in on a new one and never keep a vehicle past its warranty period; converting your vehicle to an alternative fuel may not make any sense. But…If you have a fleet of vehicles or you purchase a vehicle with the intent of keeping it for 10 years then you will want to pay attention. Installing a propane fuel system on your vehicle has the potential to save you thousands over the years in the cost of fuel. Here is why: The new systems built by Prins and National Energy will work very well with multiport fuel injection as well as direct injection fuel systems. Each manufacturer uses a separate controller that will piggy back the vehicles factory computer and will allow the vehicle to run on 1. Just propane 2. Just gasoline and 3. At times the controllers will allow fuel mixtures which runs the vehicle on both propane and gasoline at the same time. How can this save thousands you ask? Here in Kelowna, B.C. the price of propane runs an average of $0.78/L. Gasoline prices fluctuate throughout the year but we seem them anywhere between $0.98/L to $1.39/L for regular. Many of our new vehicles require Premium fuel which drives the cost up even more. Gasoline averages at $1.19/L and the average person drives 20000km in a year. If you have a vehicle that averages 10L/100Km then you are doing pretty good. On average it will cost about $2380 a year in fuel to run your vehicle on gasoline. That same vehicle on propane will cost apporximately $1560 in fuel for the year. That is over $800 a year in fuel savings. The cost of fuel savings is one side of the coin. The other side is emissions. In the US, propane vehicles are considered clean burning. 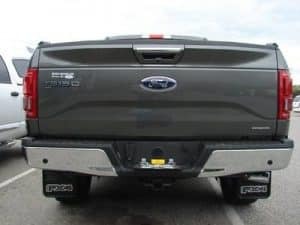 While propane is a hydrocarbon, the results out the the tailpipe of a vehicle even without catalytic converters are still considered clean by federal standards. This is why forklifts are often safe to run on propane inside buildings. According to the Environmental Protection Agency (EPA) many propane vehicles meet the Ultra Low Emissions Standard. You can save money and protect the environment. We would love to convert your vehicle. Call 1-250-861-4354 for an estimate. Talk To Us about Converting Your Vehicle Today!!! When it comes to long term ownership, fuel cost can play a big factor. Save money in the long run with a propane conversion by Okapro Automotive.